In the mid-2000s, Nintendo was at a crossroads. The Nintendo 64 had placed second in sales to that generation’s newcomer, the Sony PlayStation. Nintendo’s GameCube took another beating from Sony’s PlayStation hardware in the subsequent generation, and it even lost out to Microsoft’s first console, the Xbox. With the Xbox 360 in full swing and the PlayStation 3 on the horizon, Nintendo needed a game platform that would distinguish Nintendo from its competitors. Thus, the Wii was born in 2006, drastically changing Nintendo’s direction and cementing it as a major player in the increasingly competitive video game hardware market. In a business where the best model was to one-up the competition in a graphical arms race, the Wii should have been laughed into obscurity. On paper, the technology inside the Wii was little more than a glorified GameCube, and its technical specifications were vastly inferior to Sony and Microsoft’s behemoths. Nonetheless, it thrived. The reason? Nintendo’s revolutionary motion controls worked surprisingly well, and they drew casual gamers out of the woodwork and created countless more. Nintendo also took two other steps to get the Wii into a large number of homes. First, Nintendo priced the Wii well below its competition. Second, Nintendo included a pack-in game that initially served as a hardware demo, but ended up a fantastic title that to this day defines the Wii more than any other game. This game was Wii Sports. Even the most hardened veterans will admit to playing an intense game on an old machine and moving the controller in an attempt to match the physical movement of the controller with the action on-screen. 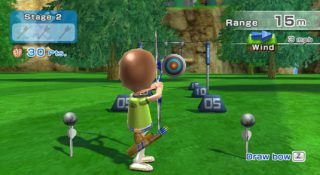 Wii Sports put responsive functionality behind these motions and made them the centerpiece of the action. The Wii Remote transformed physical actions like swinging and waving into a stroke of a golf club or a swing of a tennis racket. Moreover, the game contained baseball, bowling, boxing, golf, and tennis, resulting in a variety of casual games that gamers of all ages and experience levels could enjoy. Finally, it implemented the Mii system, allowing players to integrate their virtual persona into the action. The game was a smash hit, and it shattered the sales record set by Nintendo’s own Super Mario Bros. a few generations earlier. A well-received sequel, Wii Sports Resort, expanded on every aspect of the game a few years later, but Wii Sports – the game that opened the floodgates for motion controls (on the Wii or otherwise) and made video games welcome at hospitals, nursing homes, physical therapy clinics, and everywhere else in the world – is the game that will undoubtedly go down in history as one of Nintendo’s greatest hits. In 1996, Nintendo created the first great 3D platformer with Super Mario 64. 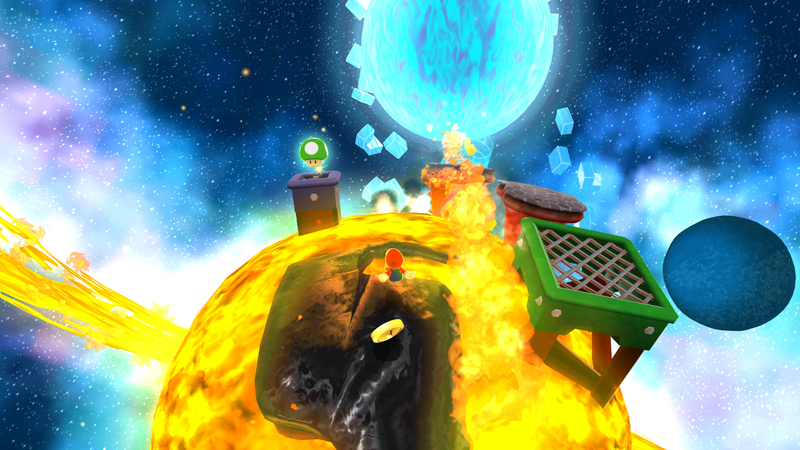 Just over a decade later, Nintendo perfected the 3D platformer with Super Mario Galaxy. Set in outer space, Super Mario Galaxy finds Nintendo’s beloved mascot once again rescuing Princess Peach from Bowser’s clutches. Unlike previous games in the Mario series, however, Super Mario Galaxy frees its hero from anything resembling terra firma. As Mario circumnavigates tiny planets, orbits asteroids, and rockets through the stars, it becomes clear that the only thing holding him in place is the game’s superb physics engine. As a result, the game becomes a platformer without platforms, and – to date, at least – it remains the ultimate evolution of the 3D platforming genre. Moreover (and despite Mario’s vertigo-inducing maneuvers), the game is always dizzying but never disorienting, and Mario, in typical fashion, controls like a finely-tuned Italian sports car. Mario handles wonderfully as the player collects each of the game’s 120 Power Stars and battles each of the game’s breathtaking bosses, and the limited motion controls compliment the game’s control scheme perfectly. Finally – and perhaps most importantly – the game is tremendously fun, and it exhibits Nintendo’s legendary design. Each of the game’s beautifully rendered galaxies introduces new challenges and prepares the player for the next section of the game. 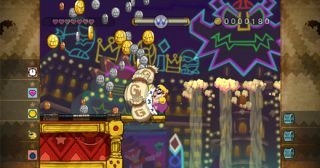 Moreover, anyone – with enough practice – will be able to challenge Bowser and rescue Princess Peach, but it takes a steady hand, dedication, and experience to “complete” the game’s many challenges. Super Mario Galaxy is so good that fans of 3D platformers are lucky to receive one game approaching its quality each generation. Amazingly, however, Nintendo released a sequel to Super Mario Galaxy just two and a half years after blessing Wii-owners with the best 3D platformer of all time. Super Mario Galaxy 2 featured even more of everything that made the original so great, and it reunited Mario with his beloved sidekick Yoshi. While the sequel lacked Super Mario Galaxy’s impact, it is in all respects the original game’s equal (and, arguably, its superior), and both Super Mario Galaxy and Super Mario Galaxy 2 remain not only two of the best games on the Wii, but two of the best 3D platformers for any system. It is nearly impossible to find a group of Americans who grew up in the 1980s that cannot hum the tune from the first level of Super Mario Bros. This legendary game elevated the video game industry from the death spiral which had trapped it since previous console generation to a profitable and thriving industry. Even with its initial success, however, this 2D platforming series saw tremendous improvements in future installments such as Super Mario Bros. 3 and Super Mario World. With the advent of Super Mario 64, however, it seemed that the 2D “Mario” game had gone extinct. Thankfully, Mario’s 2D platforming roots were resurrected nearly two and a half generations later with New Super Mario Bros. for the Nintendo DS. In that game, Mario was back in 2D, side-scrolling action with a graphical update and a couple of tricks from his 3D adventures. This game became an instant classic and the precursor to the sublime New Super Mario Bros. Wii. The Wii incarnation took what made the DS title so special and stretched it to the limits. Everything seems fresh, yet intensely familiar at the same time. The four-player mode that could either result in cooperation or sabotage is absolute chaos. New power upgrades and suits created new and exciting ways to make your trip through the Mushroom Kingdom insanely fun. The music will happily haunt your sleep, and there are so many features that it is practically bursting with replay value. While it was not the first game that brought the side-scrolling Mario adventures back like a phoenix from the ashes, it certainly helped. More importantly, this classic title announced to the world that the Mario series was no longer confined to three dimensions as it had been in titles like Super Mario 64, Super Mario Sunshine, and Super Mario Galaxy. The series now contained both 2D and 3D platformers, and fans of both genres were the winners. 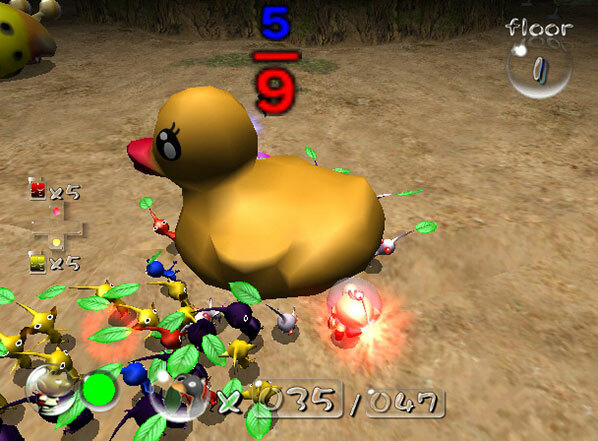 Nintendo imposed an image upon itself during the GameCube era of having software geared toward children while competitors beat their collective chests of manliness. The art style of newer Zelda games at the time did not help to rebut these claims. The cartoony appearance Link took on in Windwaker, Minish Cap, Four Swords, and others was the new norm for the franchise, but while the GameCube was on its deathbed, a new game came to light. It was The Legend of Zelda: Twilight Princess. Unfortunately, the GameCube release was too little too late. While this “darker” Zelda title shattered the status quo, it might have fallen into the relative obscurity endured by the majority of the late-period games in the GameCube’s library. Thankfully, however, Nintendo elected to release it simultaneously on the Wii as a launch title. This brilliant move brought in many of the Nintendo faithful who thought the company had lost its mind with strange motion controls and inferior technical specifications. Twilight Princess brought the trajectory of the art direction back to where Ocarina of Time and Majora’s Mask had left off, but with its own distinct style, light/dark dynamic, and wolf-morphing gameplay. It stands among Zelda titans as a massive adventure reminiscent of its forefathers, and this amazing game not only left players with a classic Zelda title, but also hope for the Wii’s future. That future’s road was paved with the likes of many reboots of legendary franchises and other fun exclusives, but late in the system’s life cycle, The Legend of Zelda would bid farewell to the Wii with a title that would blow gamers away. Utilizing an “impressionist” art style that split the difference between the Windwaker and Twilight Princess, this new title, Skyward Sword, seemed like it would follow the lead of previous games in the Zelda series. 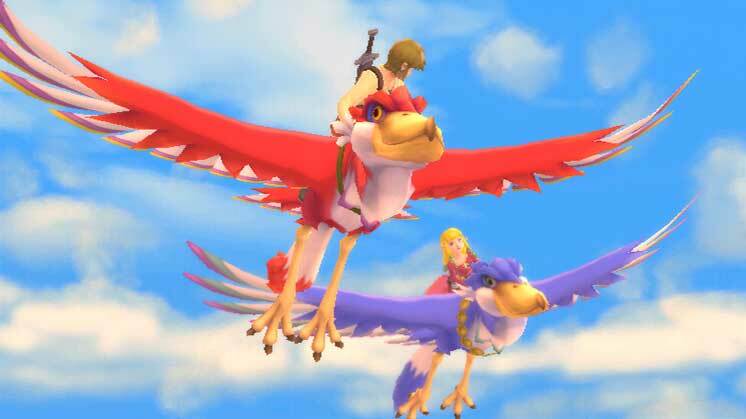 Although it would be the largest title to date and took the new approach of spreading dungeons to the land before them, Skyward Sword still utilized a secret weapon: the Wii MotionPlus controller. This new accessory allowed the game to match every movement of the Wii Remote to Link’s sword in real-time. While it may not sound like much on the surface, this ability added a new layer to combat and puzzles that had never been realized in past titles. As a result, this epic and revolutionary game will always be among top contenders for best game on the Wii game and the best game in the Zelda series. The Wii, with its “good enough” technology level and nearly universal install base, enjoyed dozens of great fighting games. With one exception, however, all the fighting games to grace the system pale in comparison to Super Smash Bros Brawl. Like Super Smash Bros Melee before it, this game was, for many, the reason to own a Nintendo console. Super Smash Bros. Brawl took the level of content in Smash Bros. Melee and multiplied it by ten. Boasting a huge roster, a fully implemented story mode, online play, hundreds of challenges, and oh so many unlockables and easter eggs, this game is a dream for both long-time Nintendo fans and completionists. Moreover, it is impossible to say enough good things about its gameplay. 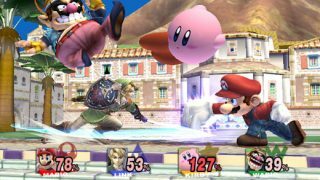 Super Smash Bros. Brawl allows gamers to build the game that they want: players can control almost every feature of every match, from the frequency of item drops, to durability of the fighters, right down to the conditions of victory. All of these options frame a solid fighting game that, while not perfectly balanced, still contains enough random events to ensure that no win and no loss is ever guaranteed. Ironically, everything people like about Smash Bros. Brawl only served to alienate the gamers whose die hard support for Melee helped convince Nintendo a sequel was necessary. Oh well, that is their loss. The rest of us will be playing the game as intended, eagerly awaiting the upcoming sequels. Others can just go No Items, Fox only, Final Destination. For a company that strives for universal appeal with all their major releases, there is no title in Nintendo’s stable that has more universal appeal than Mario Kart. No matter the age, gaming background, or skill level, everyone on the couch can get into Mario Kart. 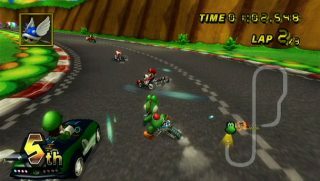 While some gamers were sad to see that Mario Kart Wii (like Mario Kart DS before it) eschewed the innovations that had been introduced in Mario Kart Double Dash, Mario Kart Wii was ultimately a crowd-pleaser due to Nintendo’s taking the aspects that had made Mario Kart DS so popular and running with them. Mario Kart Wii featured a relatively seamless (for Nintendo circa 2008, anyway) online multiplayer mode as well as a flood of unlockables and extra Grand Prix challenges based on re-imagined courses from previous games. Almost as memorable as the game itself was the monster marketing campaign Nintendo conducted in the months leading up to the game’s release. Mario Kart Wii hit the stores along special SKUs, an official (and pretty neat) controller shell to let players control their karts with realistic-ish driving controls via the motion controls, and the Mario Kart channel, an optional Wii Menu channel that allowed players to look through detailed ranking boards and manage their time trial ghost downloads / uploads. While this title isn’t one that necessarily rolls off the tongue of a long-time Nintendo fans when they list off their favorite Wii games, Wii Fit was one of the primary titles that casual Wii owners picked up to complement their Wii Sports disc. 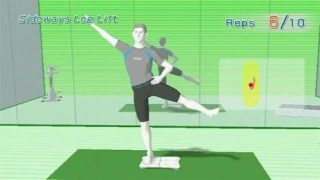 Much more than a pure gimmick, Wii Fit actually did a wonderful job giving couch potatoes some good motivation and ideas on how to be more physically active. Personally, I (Nick/Racketboy) used Wii Fit at a time in my life when I was most complacent with my physical fitness. Having a gamer mindset, I like to beat my “high scores” and see gradual improvement. I loved being able to try to improve in different exercises and activities (many of which I had never done before — who knew I would enjoy yoga?) and also watch my weight take a wonderful decline. While Wii Fit wasn’t solely responsible for my weight loss, having a great graphical presentation of my weigh changes and some great activity management tied into it kept me motivated to eat better (I paid attention to trends of how different eating habits influenced me weigh “score”). While eventually, I moved on from Wii Fit from being in my routine, it was a very high-quality product and helped me establish some great long-term habits. I ended up losing about 30 lbs and keeping it off. I know I’m not the only one who found Wii Fit useful and engaging. Little Mac’s inclusion in the upcoming Smash Bros game for WiiU and 3DS took people by surprise almost as much as the announcement of an entirely new Punch Out game did back in 2008. 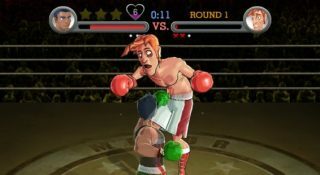 Maybe the unlikely nature of Nintendo paying attention to the Punch Out series is meant to be commentary on the unlikely story of Little Mac in general but that doesn’t make it any less of a shame when every game in the Punch Out series is so incredibly good, Punch Out Wii being no exception. Set at some point between the original Punch Out and Super Punch Out (yes, there is a canon story to the series), Little Mac is still training with Doc Brown and is working his way back through the ranks at the World Video Boxing Association. The game is a splendid mix of gameplay concepts and controls from both Punch Out and Super Punch Out and the result is wonderful. The undersized Mac is menaced by huge, powerful brawlers every step of the way, forcing the player to spot patterns and wait for opportunities to exploit the weaknesses of the game’s colorful (albeit kinda racially stereotyped) cast. At the end of the game, the player is treated with a new mode where they have to defend their title against their former opponents, all of whom have been training for the day they could take revenge against the man in the pink sweatsuit. This is it. This is the Wii fighting game that outshines even Super Smash Bros. Brawl. Despite this distinction, however, there is really no reason that this game should exist (and less that it should have made it out of Japan). Tatsunoko vs. Capcom is a random Capcom fighting game that uses characters unknown to almost anyone in the Western Hemisphere (except, of course, Funimation licensing attorneys) built on obsolete arcade technology, and intended for publication on the video game console LEAST known for exclusive, hard-core fighting games. Oh, for the days when Capcom was this cool! Tatsunoko vs. Capcom takes a Capcom roster that is surprisingly light on characters from the Street Fighter franchise and pits them against Japanese cartoon characters made famous by the animation company Tatsunoko during the 1970s and 80s. Tekkaman Blade (Teknoman here in the States), the cast of Gatchaman (a/k/a G-Force), and the like face off with Mega Man X’s Zero, Dead Rising’s Frank West, Mega Man Trigger from the Mega Man Legends series, and even a giant robot from Lost Planet. Moreover, the gameplay – a mix of 90s-era Capcom “vs” gameplay and modern Street Fighter IV pacing – is fantastic and deep. 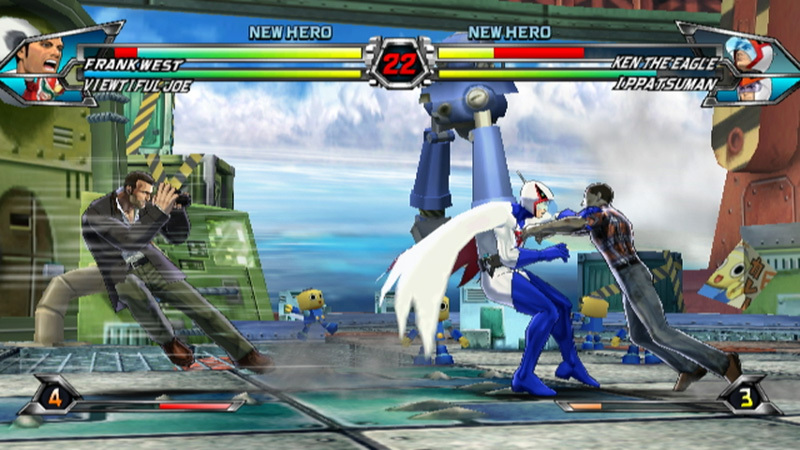 Boasting some of the finest graphics on the Wii and decent online support, Tatsunoko vs. Capcom is a true anomaly in the Wii’s library that every fan of fighting games should own. Back in the 1990s, the 16-bit war was an epic confrontation between Nintendo and Sega. As these two titans duked it out for market supremacy, the big N handed the iconic Donkey Kong franchise to second-party developer Rare Ltd., which delivered in spades. Rare’s Donkey Kong Country employed pre-rendered 3D images in a solid 2D plane to create a beautiful and stellar platformer that gave Nintendo fans an excellent counter to Sega fans awkward ramblings regarding “blast processing.” More importantly, it would become one of the most beloved titles on the Super Nintendo and set the stage for future sequels and spin-offs. Fast-forwarding to the Wii era, Nintendo’s fruitful relationship with Rare had been broken up by Microsoft, and the Donkey Kong franchise had not received any 2D platformers since the 16-bit era. Nintendo then announced that the Donkey Kong Country series would be rebooted on the Wii by Texas-based Retro Studios, the developer that had earned its stripes by successfully transitioning the Metroid series into the critically and commercially successful Metroid Prime. Could this new developer revitalize the series that same way that Rare Ltd. had more than a decade earlier with Donkey Kong Country? Absolutely. Just as Rare had done many years earlier, Retro Studios knocked its own Donkey Kong game out of the ballpark. The appropriately-named Donkey Kong Country Returns brought players the same level of intense platforming found in the original Donkey Kong Country series but improved upon the original in every other way. Bursting with nostalgia-inducing moments, this classic game brought back the feeling many had encountered with the Super Nintendo original, but kept it fresh and upbeat with a few new mechanics presented by the Wii’s unique and updated hardware. The game is presented in 2.5D; the Wii Remote uses little noises to immerse the player in the gaming experience, and the delicate use of motion controls do not detract from the experience at all. Donkey Kong Country Returns is a delightful experience that will keep even the most experienced players entertained for hours. This game is so good that Nintendo remade it for the 3DS and plans to continue the franchise on the Wii U. In short, it is absolute gold that should be experienced by everyone who owns a Nintendo Wii. When the Wii first launched, it seemed that every developer – Nintendo included – had an obsession with including mandatory motion controls regardless of whether they actually improved gameplay. Many great games were hurt by this approach, but one game stood out among the others in the Wii’s early days and set the bar as to what motion controls could be used to accomplish. That game was Metroid Prime 3: Corruption. 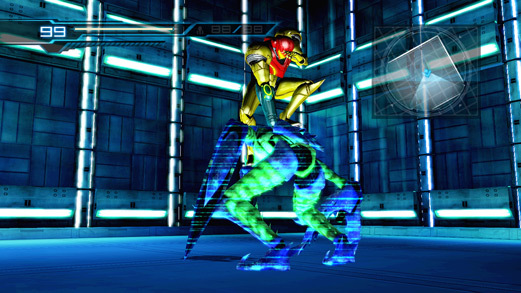 Retro built a masterpiece on the foundations of the first two Prime games for the GameCube and expertly incorporated motion controls to build a first person adventure game that fulfilled the promise of the Prime series: putting the player in Samus Aran’s jump boots. 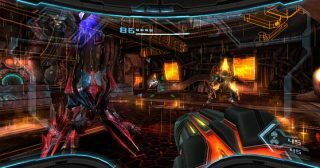 Metroid Prime 3 was immersive, creepy, and beautiful, and its only flaw was rendering the first two Prime games less playable. Retro corrected this by releasing the entire series with Metroid Prime 3’s sublime motion controls on one (now hard to find) disc. The result was Metroid Prime Trilogy, a game that all Wii owners should have in their collections, and a game that should be mandatory playing for any developer considering motion controls. In 2010, Nintendo broke from the Prime series and took Metroid back to its roots with Metroid: Other M. Despite its return to form, however, Nintendo’s latest Metroid game did not arrive without controversy. The game provided long-silent protagonist Samus Aran with a voice, and with emotional depth and vulnerability previously unseen in the Metroid series. Additionally, Metroid: Other M experimented for the first (and hopefully last) time with first-person hidden object puzzles. Players that liked (or at least overlooked) these questionable design choices, however, were treated to a sublime gaming experience. The game used the Wii Remote’s unique capabilities masterfully to blend the original Metroid series’ 2D gameplay with some 3D elements borrowed from the Prime series. Likewise – and perhaps reflecting the fact that the game was designed by Team Ninja – Metroid: Other M contained fast-paced, stylish, and occasionally brutal combat as well as challenging, cinematic boss encounters with classic Metroid villains. Moreover, the game provided hours of quintessential Metroid gameplay, and it treated persistent players who unlocked all of the game’s secrets to one of the best boss encounters in Metroid history. Finally, Metroid: Other M featured stunning graphics and sound design that complemented the game’s atmosphere perfectly, and despite some controversial design choices, Metroid: Other M therefore remains one of the best action games on the Nintendo Wii. 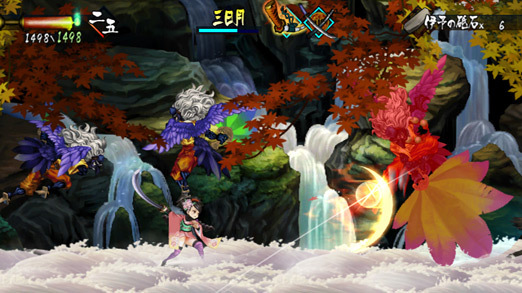 Developed by Vanillaware – and more recently ported to the PlayStation Vita – Muramasa: The Demon Blade tells the intertwining stories of Kisuke, a young man pursued for a crime he cannot remember, and Momohime, a young woman possessed by the spirit of an evil swordsman. Steeped in Japanese folklore, the game features compelling 2D “metroidvania” style gameplay with deep, fast-paced combat and an intricate crafting system. Muramasa: The Demon Blade is Vanillaware’s love letter to antique Japanese art and culture. (The game even features a mouth-watering cooking and healing system that highlights traditional Japanese cuisine.) The game’s beautiful art direction alone make Muramasa: The Demon Blade a defining game for the Nintendo Wii, but the game’s fantastic soundtrack, compelling gameplay, and excellent story make it an essential part of any Wii owner’s collection. 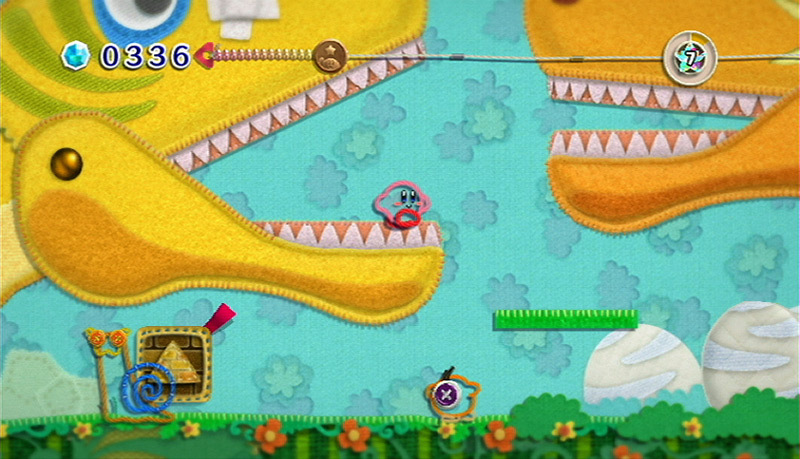 In 2010, Kirby made his first of three appearances on the Nintendo Wii with Kirby’s Epic Yarn. Developed by Good Feel, the team behind Wario Land: Shake It!, Kirby’s Epic Yarn deviated substantially from earlier games in the Kirby series. First – and certainly foremost – the game finds it titular hero, his companion Prince Fluff, and, eventually, all of Dream Land, recast as creations of buttons, fabric, and yarn. The bold art direction renders the game a wonder to behold, and it results in one of the most visually arresting games on the Nintendo Wii. It also results in some interesting changes to the Kirby series’ core gameplay. Since Kirby is now scrapped together by a few pieces of yarn, he can no longer inhale his enemies and copy their abilities. Rather, Kirby and Prince Fluff (who can be controlled by a second player in the game’s delightful co-op mode) must use pieces of their yarn bodies to unravel the obstacles placed before them and to transform into different forms such as a dolphin, flying saucer, and tank. The game also deviates from the other games in the Kirby series, and platformers in general, because neither Kirby nor Prince Fluff can “die” and there is no traditional “game over” screen. Rather, all of the various beads that Kirby and Prince Fluff collect throughout a level are scattered whenever Kirby or Prince Fluff comes into contact with an enemy. These beads, along with carefully hidden treasures, are critical to obtaining a good rank and unlocking all of the game’s features, levels, and secrets. As a result, Kirby’s Epic Yarn is a game that even the youngest, most inexperienced players can beat, but only seasoned players will master. This unique gameplay combines with the game’s arresting visuals (and arguably the best video game soundtrack of all time) to form a sublime – thoroughly relaxing – gaming experience. More importantly, Kirby’s Epic Yarn is a gaming experience that can be enjoyed by players of all ages and skill levels, and no Wii collection is complete without it. Kirby returned to the Nintendo Wii in 2011 with Kirby’s Return to Dreamland. The game boasted beautiful graphics, and true to its title, it returned Kirby to his 8- and 16- (and 64-) bit platforming roots. That is, Kirby can once again inhale enemies to “copy” their abilities, and Kirby’s use of those abilities is essential to progressing through each of the game’s eight levels. 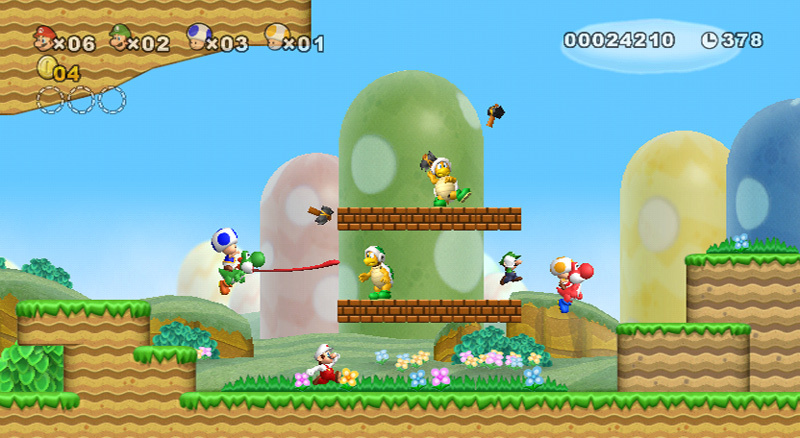 It deviated significantly from the older titles, however, by adding drop-in/drop-out multiplayer similar to that found in New Super Mario Bros. Wii. This mode allowed second, third, and fourth players to play as series mainstays King Dedede, Meta Knight, Waddle Dee, or just a differently colored Kirby clone. Moreover, this mode added manic multiplayer to what might have been a charming – but somewhat nondescript – Kirby platformer and increased the game’s challenge significantly. Not content to rest on its laurels – and clearly unsatisfied with only two excellent Kirby games on its Wii platform – Nintendo celebrated Kirby’s 20th Anniversary by releasing Kirby’s Dream Collection in 2012. This collection, which shipped with both an art book and soundtrack album, included six classic Kirby adventures: Kirby’s Dream Land, Kirby’s Adventure, Kirby’s Dream Land 2, Kirby Super Star, Kirby’s Dream Land 3, and Kirby 64: The Crystal Shards. 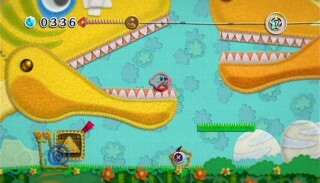 Moreover, it included “challenge stages” built on the Kirby’s Return to Dream Land engine, and it included an interactive timeline showcasing Kirby’s history. (The timeline, in turn, featured no fewer than three full-length episodes of the Kirby: Back at Ya! television show.) This feature-laden package was a great celebration of Nintendo’s loveable pink mascot, and it served as a perfect cap to Kirby’s adventures on the Nintendo Wii. Ever since the Virtual Boy, Nintendo has allowed Mario’s twisted shadow to headline a game before Mario himself. The Wii was no different, and long before New Super Mario Bros Wii. Burst into the Wii’s library, Wario Land: Shake It! was the Wii’s premier 2D, side-scrolling platform game. For those who have never played a game in the Wario Land series, Wario Land: Shake It! is a wonderful place to start. The game is, in essence, very similar to games in the classic Super Mario Bros. series, except that it places the player in much less noble shoes. Instead of a scrappy plumber scrambling to defeat a legion of powerful enemies and save a princess, Wario is a dubiously-motivated (and not terribly hygienic) bully who stomps and throws his enemies almost exclusively for financial gain. 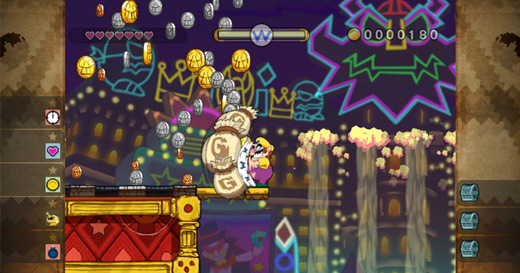 Wario’s charming persona is well represented in both the gameplay, which mixes all the best elements of the portable Wario Land titles, and the game’s limited motion controls, which result in Wario (and, by proxy, the player) literally “shaking down” Wario’s enemies for money before disposing of them. Moreover, the game is crammed with eye-popping, hand drawn animation that puts some of Vanillaware’s best efforts to shame. Stomping enemies, shaking down minions for money, and hurling weaklings into each other has never looked so good, and the only thing this game lacks is Mario looking on in shock as his evil twin saves the day in the least heroic way possible. Sega’s Sonic the Hedgehog visited the Nintendo Wii a lot. Between retail releases, the Virtual Console, and Wii Ware, Sonic made nearly twenty appearances on Nintendo’s little white box. Of all of these appearances, however, none of them were as significant as Sonic Colors. This was the game that ended the “Sonic Cycle” that disenchanted Sega fans used to describe the disappointment and shattered expectations that most modern Sonic games have left in their wake. 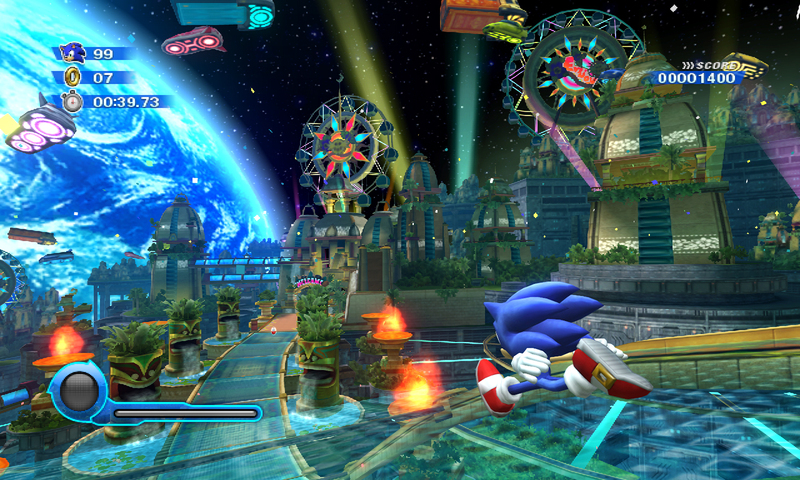 Sonic Colors dropped the goofiness that had so terribly plagued nearly a decade of Hedgehog games: players were no longer required to play as Sonic’s annoying friends; there was no creepy hedgehog/human romance; players did not have to wait for something silly (like a transformation into a were-hog) to pass so that they could get back to running at incredible speeds; and inaccurate, forced motion controls were replaced with a myriad of control options that better suited the blue blur’s trademark speed. As a result, Sonic Colors is the best Sonic game on the Wii and arguably the best Sonic game of its generation. It revitalized a beloved franchise, and Sega’s excellent design choices in this game continue to influence the series. WayForward Technologies’ A Boy & His Blob for the Nintendo Wii is a reimaging of David Crane’s NES classic A Boy & His Blob: Trouble on Blobolonia, and the Wii’s premier 2D puzzle-platformer. The game tells the heartwarming tale of a young boy and his trustworthy blob, who must work together to free the blob’s planet from an evil power. By feeding the blob differently-flavored jellybeans, the boy can change it into an anvil, a parachute, a step-ladder, and a trampoline, among other things, and each of the blob’s transformations is critical to solving the game’s well-crafted puzzles. Moreover, A Boy & His Blob – like Muramasa: The Demon Blade and Wario Land: Shake It! – features gorgeous hand-drawn animation. 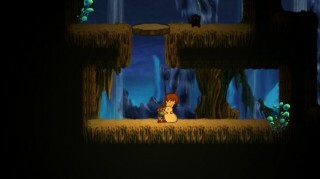 Allegedly inspired by the work of legendary animator Hayao Miyazaki, the game’s unique visuals highlight the natural world’s beauty, the boy’s vulnerability, and menace posed by the evil force infecting the blob’s world. (The game’s exciting boss encounters feature some of the most Wii’s most sinister looking enemies.) More importantly, they combine with the game’s minimalist, but nonetheless effective, storyline to highlight the bond between the boy and his blob, and the player can almost feel the connection between them growing as they encounter increasingly difficult obstacles. As a result, the game becomes one of the most emotionally-uplifting and encouraging games on any platform, and it is a very welcome change of pace from the drab violence that pervades many popular video games. In short, WayForward Technologies’ A Boy & His Blob is a beautiful, challenging, and heartwarming puzzle platformer. It’s unique visuals and Wii-specific gameplay render it one of the Wii’s defining video game experiences, and it serves as proof to fans of the original that walking out the boy’s house into night sky filled with pixelated stars can still inspire wonder after all of these years. A sequel to the Japan-only Nintendo 64 cult-classic, Treasure’s Sin & Punishment: Star Successor is the best third-person rail shooter on the Nintendo Wii. (Sorry, Counterforce!) The game’s nonsensical storyline provides ample justification for Treasure to fill the screen with bullets and lasers, and for each of the game’s protagonists – Isa and Kachi – to shoot anything that moves during the game’s repeated, awe-inspiring set pieces. The game’s art direction is reminiscent of Sega’s Panzer Dragoon series, and like those games, Sin & Punishment: Star Successor features excellent, fast-paced shooting action. Moreover – and per Treasure’s usual practice – the game largely consists of a gauntlet of memorable boss and mini-boss encounters that put both the player’s reflexes and wits to the test. 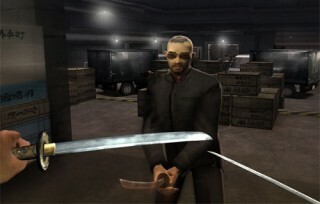 Skilled players, however, will be able to take advantage of the game’s unique lock-on and projectile deflection systems to multiply their scores and (at least at the time of the game’s release) post them on the game’s detailed online leaderboards. More importantly, Sin & Punishment: Star Successor is custom built to capitalize on the Wii’s unique control system, and it would be difficult to recreate it perfectly on any other console. The on-screen characters are effortlessly controlled by the Nunchuck’s analogue stick, and the Wii Remote aiming reticule – unlike most third-person rail shooters – is completely untethered from the character’s movements. 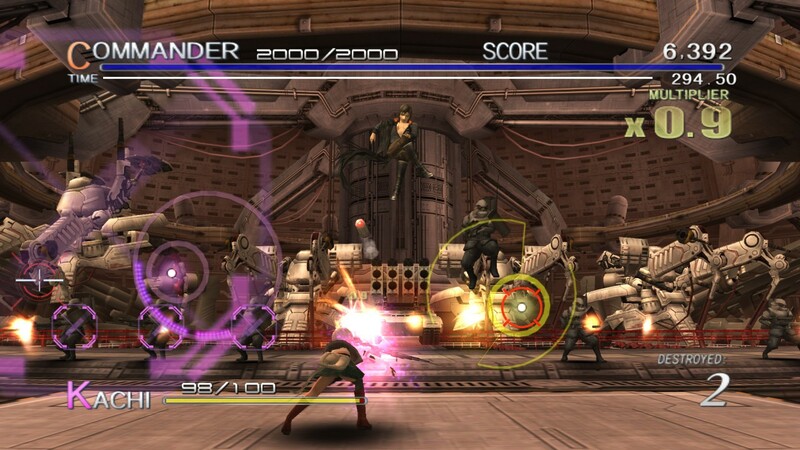 As a result, Sin & Punishment: Star Successor delivers the white-knuckle, third person, rail shooting experience fans of the genre have sought ever since Data East released Cabal in 1988, and it is a shame that the Wii did not see more third person, rail shooters that capitalize on its unique control system quite as effectively. Treasure’s Sin & Punishment: Star Successor therefore remains a defining game in the Wii’s library and a must-own title for anyone with even a passing interest in fast-paced rail shooters. Okami has a special distinction among the games on this list: it is both a hidden gem for the PlayStation 2 and a defining game for the Wii. It started life at the tail end of the commercial span that had been supplying the world with PlayStation 2 games, and while this amazing title garnered wide acclaim among reviewers, it nonetheless fell victim to waning interest in a passing console generation. Luckily, however, Capcom re-released it on the Wii. Talking with enough people who have played Okami or poking around on video game forums, anyone discussing the game is bound to hear – sometimes in jest – that Okami is one of the very best “Zelda” games, and the similarities between the two series are not entirely coincidental. Okami’s director is a huge fan of the Zelda series, and the game shows obvious signs of it. The result is an adventure with an epic story based in Japanese mythology, shrouded in brilliant art direction, scored by a beautiful soundtrack, and complete with both devious puzzles and a fun, fast-paced battle system. 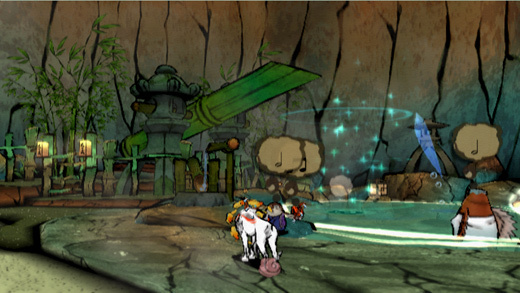 Underneath the stunning cel-shaded graphics, the Japanese lore, and similarities to a major Nintendo franchise, however, there is a polished contender that can go toe-to-toe with titles from its spiritual predecessors, and later-released games in the Legend of Zelda series now contain features that originated in Okami. As a result – and although it was neither the first nor the last great adventure on the Wii – it will be remembered as a defining game based on its stunning art direction, charm, and unique gameplay features that benefitted immensely from the Wii’s motion controls. Ever since characters from the series first graced U.S. households in Super Smash Bros. Melee, the Fire Emblem series has been sure to make an appearance on every Nintendo console. Fire Emblem: Radiant Dawn stood out on a console that was sorely lacking for tactical RPGs, and it was the first direct sequel within the Fire Emblem series. Radiant Dawn takes the setting, characters, and gameplay of the GameCube title Fire Emblem: Path of Radiance but makes everything better. Moreover, Radiant Dawn’s story is a breath of fresh air for JRPG fans that had grown weary of stale tropes and one dimensional heroes during the last decade. In Radiant Dawn, heroes from the past deal with the unintended consequences of their good deeds from the previous title, and a story told from multiple perspectives allows gamers to see the conflict from multiple points of view. Finally, Radiant Dawn is a very difficult game that is brutally unforgiving to beginners. Nonetheless, it offers a highly rewarding experience to those who put in the effort and devise the strategies necessary to win on a battlefield where relying on strength alone will ensure a “game over” screen. 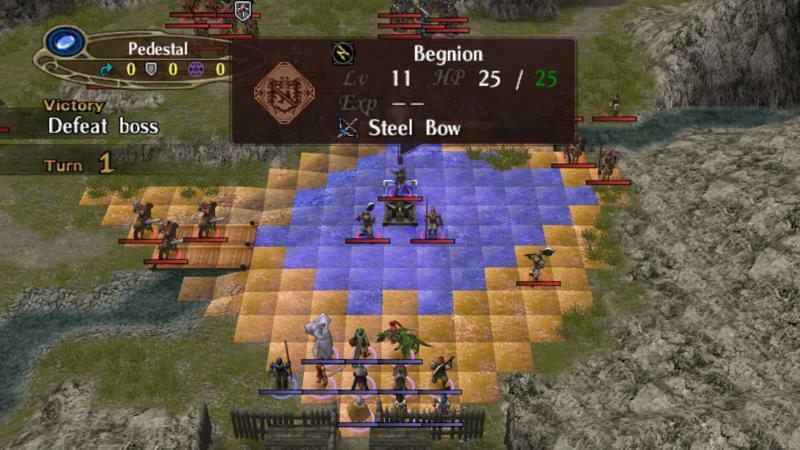 As a result, Fire Emblem: Radiant Dawn is the Wii’s premiere tactical RPG and a “must play” title for any fan of the genre. It is no secret that, whenever the Wii received a sports game, it was generally the leftovers from whatever Electronic Arts had not bothered to cram into their latest roster update for the Xbox 360 or PlayStation 3. Smaller developer’s efforts, such as the 2K sports titles or MLB Power Pros, were appreciated but nonetheless ended up collecting dust. As a result, Nintendo (and its second-party developers) decided to go it alone, crafting four unique Mario Sports games: Mario Kart Wii, Mario Strikers Charged, Mario Sports Mix, and Mario Super Sluggers. Each title represented a new zenith in the Mario Sports series, and far removed Golf for the Nintendo Entertainment System, Baseball on the Gameboy, and other simple sports games with a dash of Mushroom Kingdom, the Mario Sports titles on the Wii each play like a proper “Mario” game based on the rules and confines of their respective sports. Of particular note are the immensely popular Mario Kart Wii and the hard-to-find Mario Sports Mix – a collection developed by Square Enix with multiple sports that could each have been its own standalone title. The GameCube never received much appreciation during its lifespan. It had some amazing titles, but it never really reached a large audience. Though the Wii is backwards compatible with the GameCube’s tiny discs, many of the quality games were quickly snatched up by savvy Wii owners and collectors that saw a potential gold mine in these underappreciated gems. Luckily for latecomers, the Wii’s slight improvement in hardware over the previous generation made it the perfect console for first- and third-party “special edition” remakes. Early on, Nintendo developed a set of first-party ports known as the “New Play Control!” series. As the name suggests, these games are remakes of GameCube games enhanced by the Wii’s motion control capabilities. 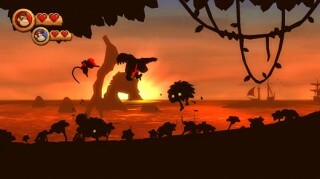 Donkey Kong Jungle Beat was the first title to be marketed under the “New Play Control!” banner, and in addition to motion controls, it received extra levels and revised level design. Subsequent releases in the “New Play Control!” series also received minor changes to go along with the updated graphics and motion controls. Mario Power Tennis allowed the player to wave the Wii Remote like a tennis racket, and both Pikmin and Pikmin 2 allowed the player to use the Wii Remote’s pointer to command his or her Pikmin. These enhanced remakes were not limited to Nintendo’s GameCube titles, however, and Capcom would also utilize the Wii’s capability for remakes extensively. Though they are not part of the “New Play Control!” series, these remakes would have fit the series very well. The GameCube-exclusive Resident Evil and Resident Evil 0 both received enhanced ports, and as discussed above, the PlayStation 2’s Okami – which is a Defining Game in itself – also received an enhanced port with both upgraded graphics and motion controls. It was Resident Evil 4, however, that reached its full potential on the Wii console. The original release was nothing short of a revolutionary reboot of the series, but by today’s standards, the combat is cumbersome and difficult. The Wii Remote/Nunchuck combination remedied this issue, and it smoothed out the controls by driving the combat’s speed and precision through the roof. In fact, the Wii version of this excellent game is so improved that it even deserves a replay by veterans of the GameCube and PlayStation 2 originals. Other notable third party remakes include Bully: Scholarship Edition, Sid Meier’s Pirates!, Klonoa, and Silent Hill: Shattered Memories, among others, and all of these enhanced remakes from Nintendo and its third-party developers were top-sellers in their original form. Moreover, all of these first- and third-party remakes remained excellent games on the Wii, and they are essential to rounding out any Wii collection. For those that look back on the Wii game library and don’t remember much about the pre-launch ramp-up, Red Steel will fee like a very odd selection in a list of memorable Wii games. However, leading up the Wii’s launch (remember referring to the system as the “Revolution”?) everyone was pretty excited by types of doors could be opened by the Wii’s motion-sensing control scheme (just like the DS had done before with the touch controls). Red Steel was one of the first commercial games were demoed for the Wii and got fans excited pretty early on due to translating the Wii controls to swordplay. Unfortunately, the game was a bit underwhelming in its final state (possibly due to trying to get it out the door for launch time), but the game is worth reminiscing about when thinking of the Wii’s early days. “Elebits” is another launch title that I felt really defined the Wii early on. It’s overshadowed and forgotten now in much the same way “Red Steel” is, but definitely a fond memory of the early days. “Trauma Center” is another launch title that I feel defined the Wii early on, kinda surprised to not see it even in the Honorable Mentions. I actually ended up buying a Wii again after I had sold it just to play TvC. It definitely defined the Wii to me. this game was one of the first to really exploit in an original way the controls of the Wii, and I think then that can be considered one of the games that defined the Wii, rather than Okami , it’s a conversion with new commands, A Boy and His Blob, which was a normal game, or Sonic Colors …….. Thank you to everyone for your comments. Creating this article was a lot of fun, and I am glad people are reading it! Thank you for the comment. Certainly, some of the games on this list are not large-budget, first-party titles. They were all covered and reviewed by most gaming publications, however; so, I don’t think that we could call any of them “hidden” for the purposes of a hidden gems article. Something like Princess Isabella: A Witch’s Curse of Jerry Rice & Nitus’ Dog Football – neither of which received any major coverage – are probably better candidates for any such article. The “trauma” games were certainly considered for this article, and they might be included in future versions. Zak & Wiki is one of my personal favorites. I am glad that we included it in the “Honorable Mentions” section, but it didn’t quite make the cut for the article. I agree with Wii Sports, Mario Kart Wii, New Super Mario Bros Wii and Wii Fit. Mario Galaxies and the Zeldas, yeah ok. But obscure titles like Muramasa and Metroid Prime Trilogy aren’t what most people look back and think about automatically. If anything, the Wii was defined by games like Boom Blox, Sonic and Mario at the Olympics and WarioWare – short mini-games played by the whole family. I second the sentiments shared about Muramasa, Boy & His Blob, and TvC. Those are all obscure games that would never be cited by the average human when asked what games were released for the Wii. Great games all, of course, but they are hidden gems rather than defining titles. Your write-ups are excellent as usual Racketboy. Well done and thank you. Looking forward to the hidden gems article. i admit, will isn’t my favorite nintendo console. the snes is. on wii i don’t have that many games i don’t like the motion controls. the reason i bought a wii is to play donkey kong and metriod. but there were also many hidden gems. I myself prefer Melee and I’m really casual too. I’m almost tempted to suggest Rhythm Heaven Fever for this considering how much fun I had with it (and how wise its “no need for waggle controls here” approach was, especially after its hobbled DS predecessor), but it’s probably mostly personal bias talking, heh. Also insert snarky “needs moar shovelware” comment here.